A new survey by XpertHR has found more than 90% of employers operate some form of dress code or appearance policy. 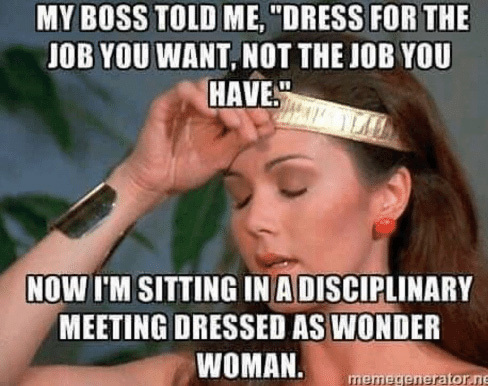 Dress codes can vary widely according to job role. “Smart” dress codes most commonly cover customer-facing employees and senior managers, while professionals and office staff are most likely to be required to wear “smart-casual” clothes. Four-fifths (82.4%) of employers hope that setting standards for dress and appearance will boost or safeguard the organisation’s external image. Only one third (30%) make their dress or appearance code part of the employee’s contract. Three-fifths (61.3%) say that HR is responsible for setting guidelines on dress and appearance. More than four-fifths (82.4%) of employers take action to ensure that their organisation’s dress/appearance code does not conflict with legislation outlawing discrimination against employees on the grounds of any protected characteristics. Three-fifths (61.3%) say that their dress/appearance policy is flexible and makes it clear that it can be adapted to meet particular requirements. perceive inconsistency in dress codes across various staff groups and different managers.